This year’s gathering with its slogan of “Mexico: Thanks for so much!” will include some of the most influential figures in the culinary world. Vallarta Nayarit Gastronómica is gearing up for its most important edition with the tag line “Mexico: Thanks for so much!” Based primarily in the Riviera Nayarit, it will celebrate 10 uninterrupted years as a must-do on the world’s culinary calendar. 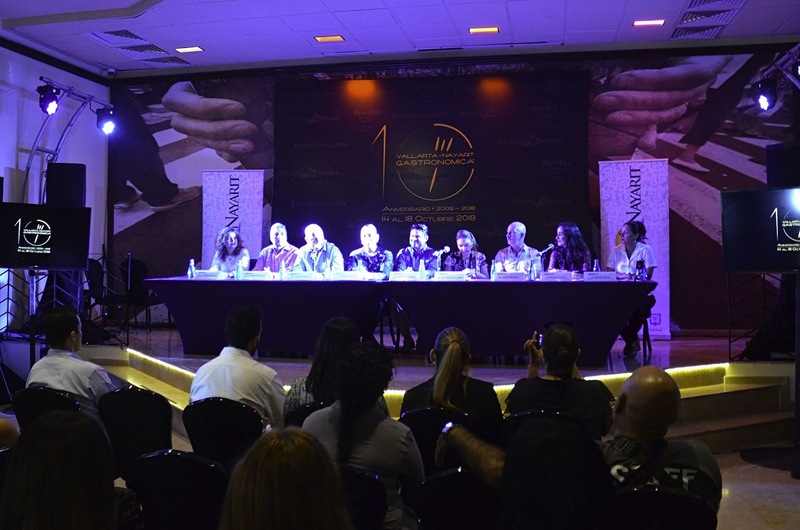 The organizers announced this year’s event during a press conference held at the Hard Rock Hotel. It will take place from October 14-18 in the Riviera Nayarit and Puerto Vallarta and will have 48 chefs in attendance, who altogether boast 14 Michelin Stars and 18 Soles Repsol, as well as several renowned chefs from Mexico and other countries on the 50 Best Latin America list. The event, which takes place during the 100th anniversary of Puerto Vallarta and the 10th anniversary of the Riviera Nayarit, will include show cookings, premium tastings, gourmet workshops, the Gastronomikids program, an expo area, an expert panel, pairing dinners, and other special activities. Chihuahua and Guanajuato will be the guest states this year, with Guadalajara as the guest city. The official airline will be Aeroméxico. The press conference was led by Carlos Elizondo and Consuelo Elipe, directors for E-Consulting Group and creators of Vallarta Nayarit Gastronómica. They welcomed the media to an event that reinvents itself year after year and is committed to spreading the culinary gospel without losing sight of its original calling. event would be held from October 14-18 in the Riviera Nayarit and Puerto Vallarta. Also present: Gina Méndez, sales director at Hard Rock Hotel Vallarta; Cynthia Almasa, public relations director at ¡Ah Chihuahua! ; Ludwig Estrada Virgen, regional director for the Jalisco Secretariat of Tourism; Ana Cecilia Llanos, secretary of tourism for the State of Nayarit; Javier Arana Pedrero, director of the Puerto Vallarta Tourism Trust; and Marc Murphy, managing director of the Bahía de Banderas Hotel and Motel Association (AHMBB) and the Riviera Nayarit Convention and Visitors Bureau (CVB). 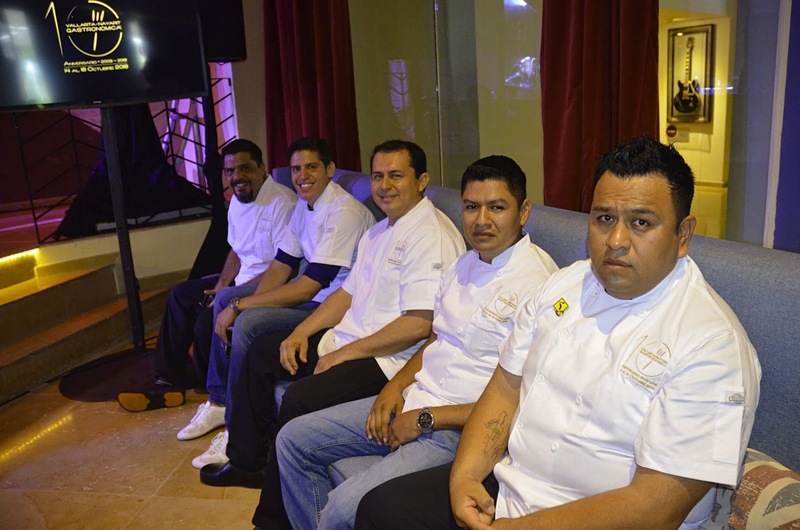 A group of the sparticipating chefs. Carlos Elizondo, co-director of the event, announced they expect over 10 thousand attendees and a revenue exceeding $30 million pesos, which represents a growth of 13% over the previous year. One of the goals, he added, is to strengthen Bahía de Banderas (Puerto Vallarta and the Riviera Nayarit) as a world-class culinary destination par excellence. “Puerto Vallarta and the Riviera Nayarit have made a name for themselves as one of the most important culinary destinations in Mexico. This is a thriving cuisine, full of possibilities, and with high quality products that will delight even the most demanding palates from around the world no matter what the season,” he said. Participating chefs include Roberto Ruiz, with 1 Michelin Star and 2 Soles Repsol; Lula Martín del Campo, Fernanda Prado, and Eduardo Palazuelos; chefs from Latin America’s 50 Best Restaurants including Gerardo Vazquez Lugo; plus a number of international chefs including Spaniards Ángel León, with 3 Michelin Stars and 3 Soles Repsol; and Andoni Luis Aduriz, with 2 Michelin Stars and 3 Soles Repsol. This 10th anniversary will pay homage to the career of Susana Palazuelos, who has dedicated her life to all things gastronomic, and will include the presence of chef Inés Páez Nin, also known as “Chef Tita,” who is on the jury for Master Chef in the Dominican Republic and the top representative of this cuisine in the Caribbean. Spain’s Ramón Dios will also be there to direct a workshop on gastro-coaching. The world of wine and spirits will be well-represented by sommeliers, mixologists, producers, and ambassadors showcasing the segment’s latest developments and products, while the pairing dinners will once again be a unique stage for creations from local and guest chefs. Gastronomikids is part of a social responsibility program via a love for gastronomy. 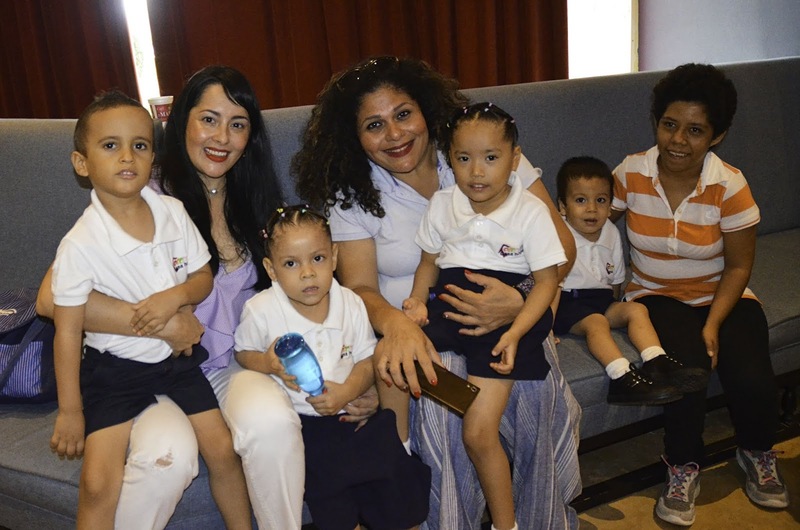 Vallarta Nayarit Gastronómica wouldn’t be complete without Gastronomikids, which was started in 2016 as part of their social responsibility program to support disadvantaged children by cultivating a love for gastronomy. There’s no doubt the 10th anniversary of the Vallarta Nayarit Gastronómica will be a watershed gastronomic event, a not-to-be-missed date on the culinary world’s calendar. The Riviera Nayarit Convention and Visitors Bureau (CVB) and the Bahía de Banderas Hotel and Motel Association (AHMBB) are hard at work to promote the destination with the support of the Government of the State of Nayarit via its Tourism Promotional Trust (Fiprotur). 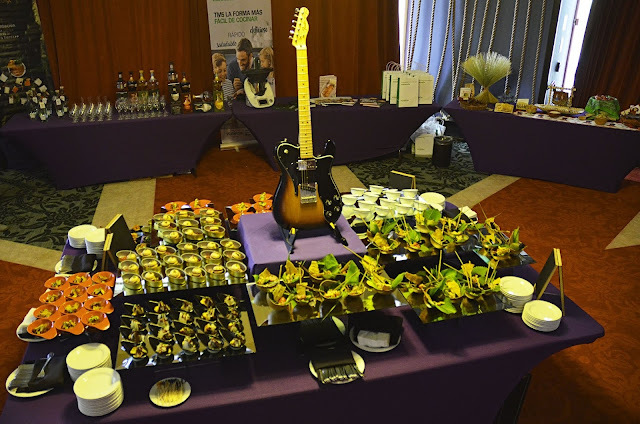 The destination’s culinary product offer is a key asset for these promotional efforts.